02/02/2019 – There’s currently severe flooding in Townsville. Please check road closures before embarking on your roadtrip from Brisbane to Cairns. Queensland, Australia – beautiful one day, perfect the next. We reckon a classic Aussie road trip is the best way to experience everything the sunshine state has to offer. This travel itinerary takes you from Brisbane all the way to Cairns in tropical North Queensland. Along the way, you’ll explore lush farming regions and stunning coastlines. You’ll also venture inland and discover quirky towns, stunning national parks and gourmet fresh produce. Although this trip can be completed within a week, it’s much more fun if you take your time. Hire a van from Brisbane and plan your journey; we think around eight to ten days is ideal. This drive is relatively cruisy. You’ll stick to main roads for most of the trip (excluding any detours you choose to make). Your journey begins in Brisbane, Queensland’s capital. We encourage you to explore the city sights before setting off on your road trip. Enjoy a hearty breakfast at a local café before heading to the Sunshine Coast. Before you know it, you will have swapped city streets for coastal charm. The Sunshine Coast Hinterland is known as south-east Queensland’s greenhouse. Here you can indulge in fresh dairy and tropical fruit. Pick up picnic supplies and enjoy lunch with a scenic view. 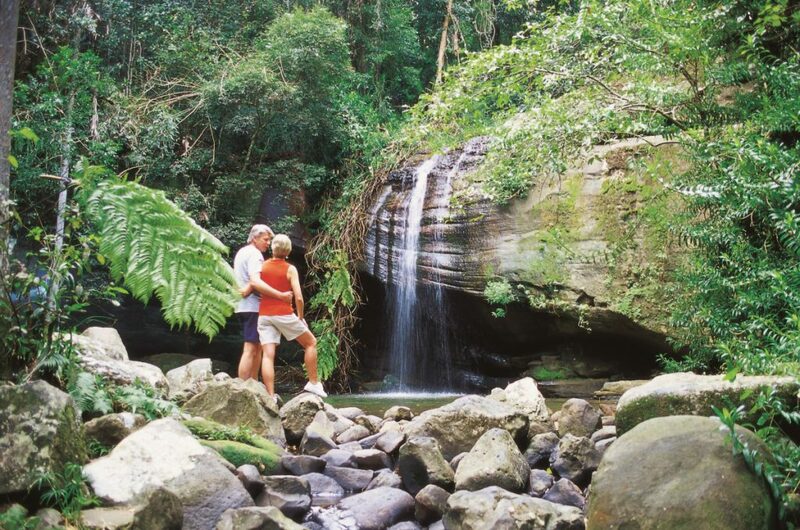 Next, take a short trip to Buderim Forest Park, a 45-hectare oasis hidden on the northern side of Buderim. Enjoy a peaceful stroll to Serenity Falls, where you’ll be surrounded by lush rainforest, waterfalls and a symphony of bird calls. 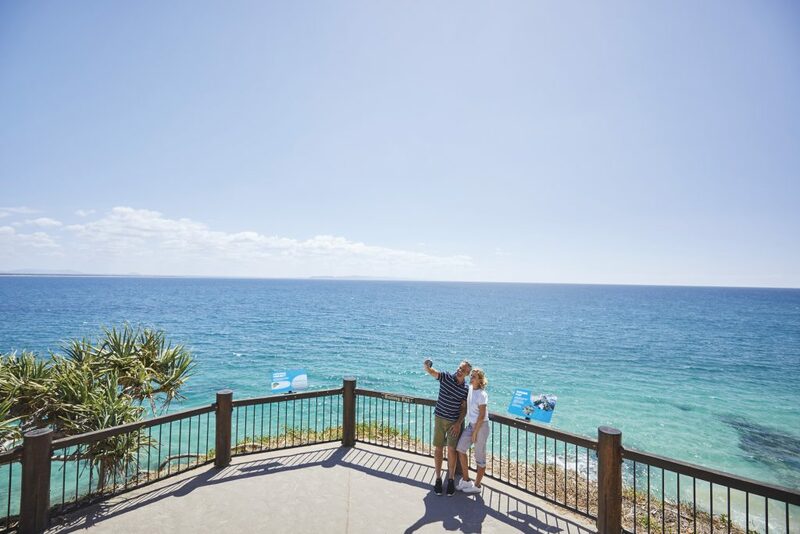 Spend the afternoon exploring before making your way to Noosa. Cool off with an afternoon swim at Noosa National Park’s fairy pools. Nestled on the town’s doorstep, this popular national park offers some of south-east Queensland’s most picturesque scenery – perfect for taking family snaps! Finish the day with dinner at one of our favourite restaurants: Noosa Beach House, Ricky’s River Bar and Restaurant or Bistro C.
Shake the sand off your beach towel, jump in the car and head north along the Bruce Highway towards Hervey Bay. Famous for whale-watching and its access to Fraser Island, Hervey Bay has plenty to keep you busy. 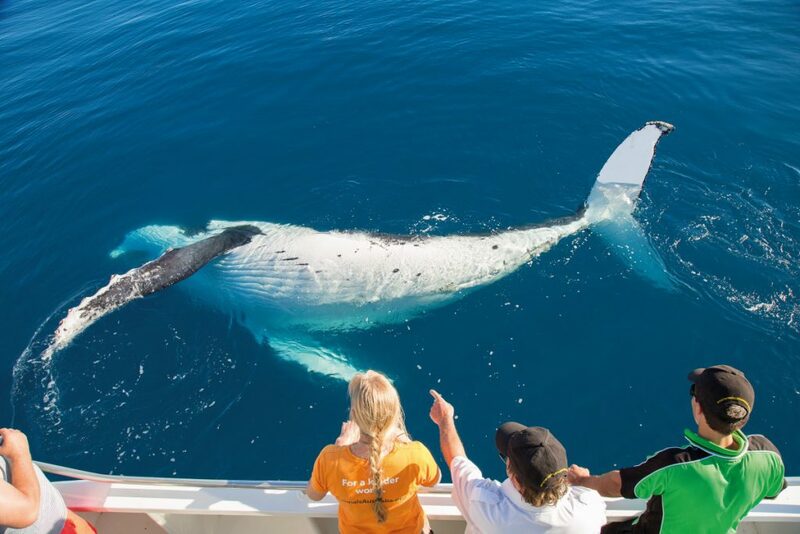 If you’re travelling between mid-July and early November, we suggest a whale watching cruise. If you’re in the right place at the right time, you will glimpse magnificent humpback whales. Off the coast of Hervey Bay, Fraser Island is a beautiful spot for a day’s adventure. Home to long white beaches, lush rainforests, abundant native animals (including dingos) and freshwater lakes, this is the world’s largest sand island. As Fraser is strictly 4WD only, a variety of guided day tours are available. End the day with a beachfront dinner at one of our favourite Harvey Bay restaurants: Wild Lotus Restaurant and Bar, Hoolihans Irish Restaurant and Bar or Coast Restaurant and Bar. Enjoy breakfast at beachfront café Simply Wok and set off to Bundaberg. 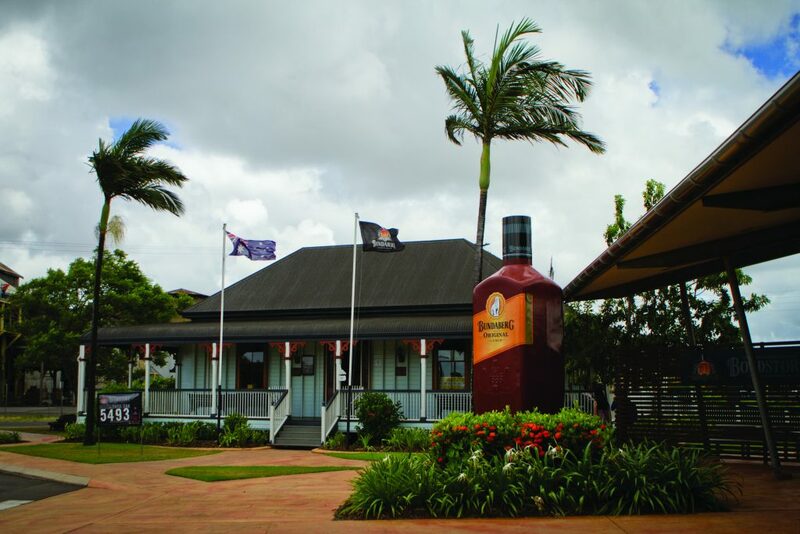 Famous for Bundaberg Rum, over 500 hectares of parklands surround the distillery, making it a great spot for rum enthusiasts and adventurers alike. Take a detour and explore a nearby National Park. Our top three are Cania Gorge National Park, Deepwater National Park and Eurimbula National Park. The Australian Sugar Cane Railway is another great attraction. Located inside the Bundaberg Botanic Gardens, it has been operating for over 25 years. The Bundaberg Steam Tramway Preservation Society maintain, operate, raise awareness and showcase the historic machinery for the public. Enjoy a pleasant trip through the Botanic gardens before finishing the day with dinner. Have brekky at Nourish Café Bundaberg before heading down to Bargara Beach for a morning swim. This family-friendly beach offers kid’s playgrounds, eateries, cafes and winding board walks. If you’re lucky, you may even see turtle tracks leading back to the ocean. Have a picnic lunch before setting off towards Seventeen Seventy, the only Australian town named after a number. You should arrive just in time to catch a gorgeous sunset over Agnes Water thanks to the western headland. Finish the day with dinner at 1770 Beach Hotel. Have an early night. You’re in for a big day tomorrow! 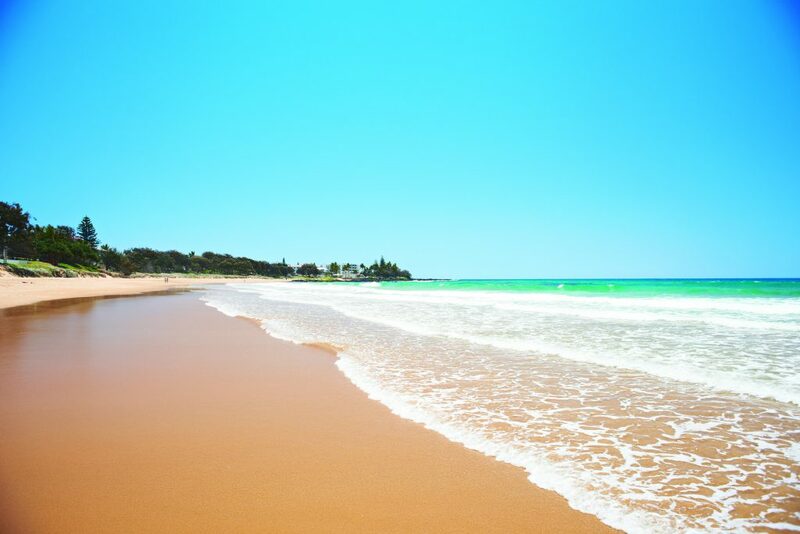 Start your morning with a swim or surf at Agnes Water, where you’ll find the northern-most break in Australia. 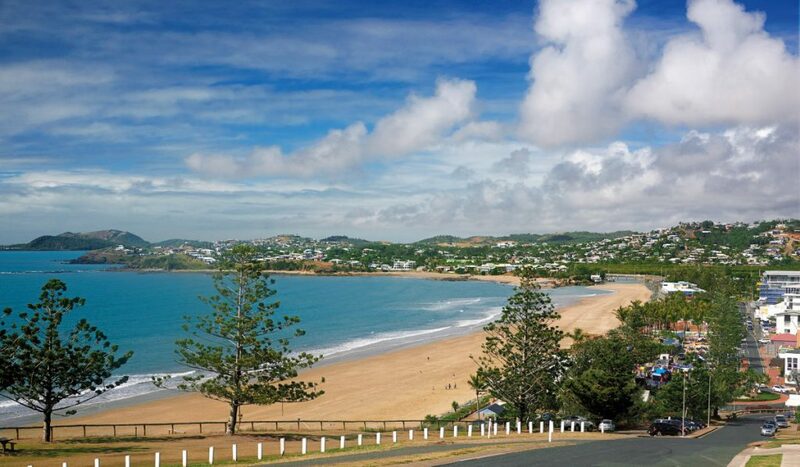 Grab a bite to eat, jump in the car and head north towards Yeppoon. This chilled beachside town is known for its gorgeous beaches, tropical climate and secluded islands out on the bay. Spend time exploring before stopping for lunch at Whisk or Flour Café – two of our faves! Capricorn Caves is a great place for an afternoon trip. Take part in the Cathedral Cave tour, a one-hour round trip showcasing spectacular caves, ancient geological history, wildlife and special cave acoustics. Head back towards Yeppoon to catch a sunset before dinner. Today is your biggest travel day, so be sure to get an early start. 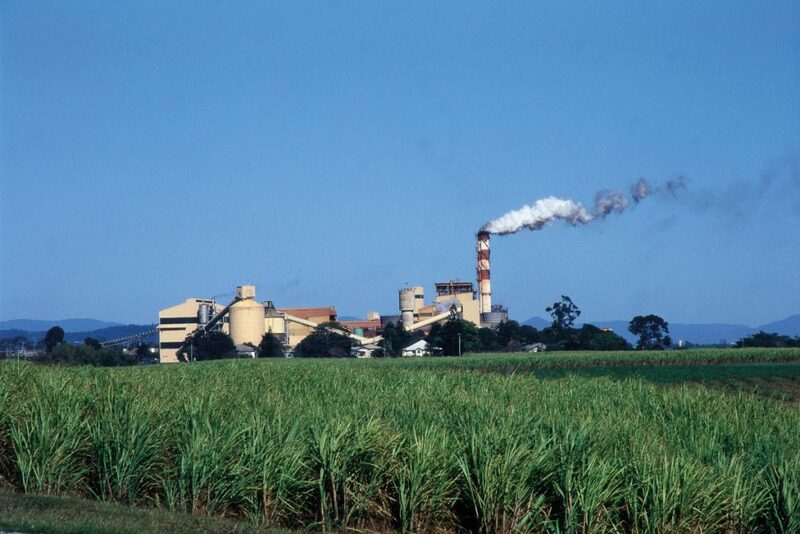 Yeppoon to Airlie Beach is a good six-hour drive, so we suggest making a stopover for lunch at Australia’s cane sugar capital, Mackay. Upon arrival, if you’re feeling up to it, enjoy an afternoon swim at Mackay’s Bluewater Lagoon. Comprising three tiered lagoons, this swimming oasis is a free family-friendly leisure facility overlooking the Pioneer River. Have breakfast at Cool La La Café before walking across to the Airlie Beach Lagoon. Here you can enjoy the public park and swimming pool, landscaped to tropical perfection. 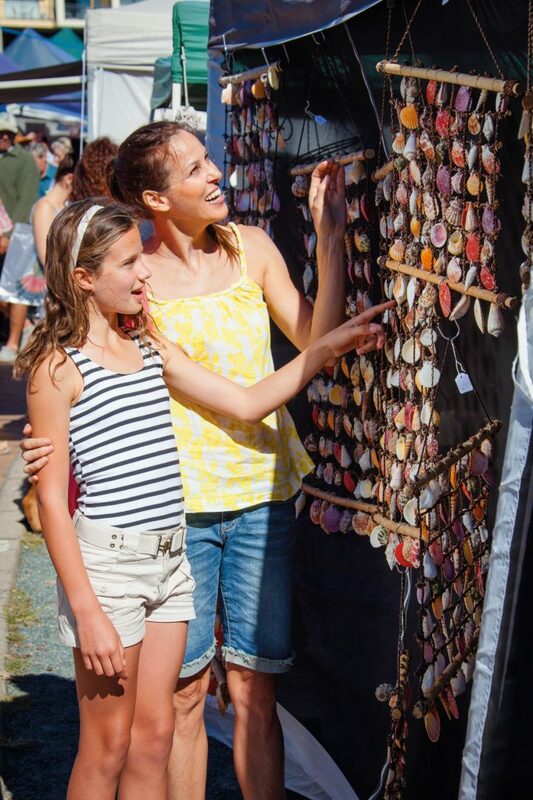 Consider visiting the local seaside markets located on The Esplanade – who wouldn’t want to bag themselves a bargain? Have a bite to eat for lunch and if you’re feeling adventurous, go for a hike at Conway National Park, located on the hills of Airlie Beach. With tracks available to suit everyone, this is a great place to enjoy nature’s finest greenery. After a full day of exploring, head to Ingham for dinner, today’s final destination. 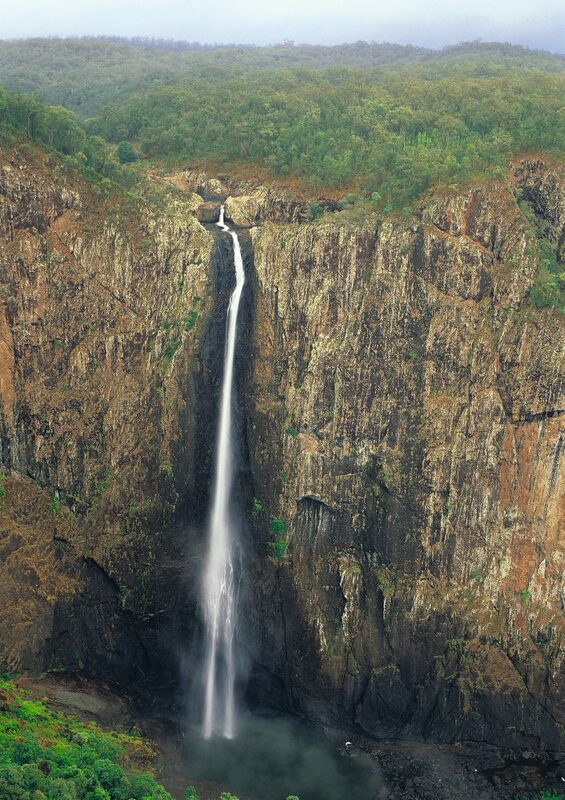 After brekky, head towards Wallaman Falls, arguably Townsville’s most impressive natural wonder. This is Australia’s tallest single drop waterfall – it’s 268m from top to bottom. While you’re there, we suggest making time for a two-hour walk to the bottom of the falls. Stop for a picnic lunch before hitting the road to Mission Beach. This beachfront is picture perfect, with magical white sands fringed by luscious palm trees. Finish the day with dinner at the Mission Beach Tavern. 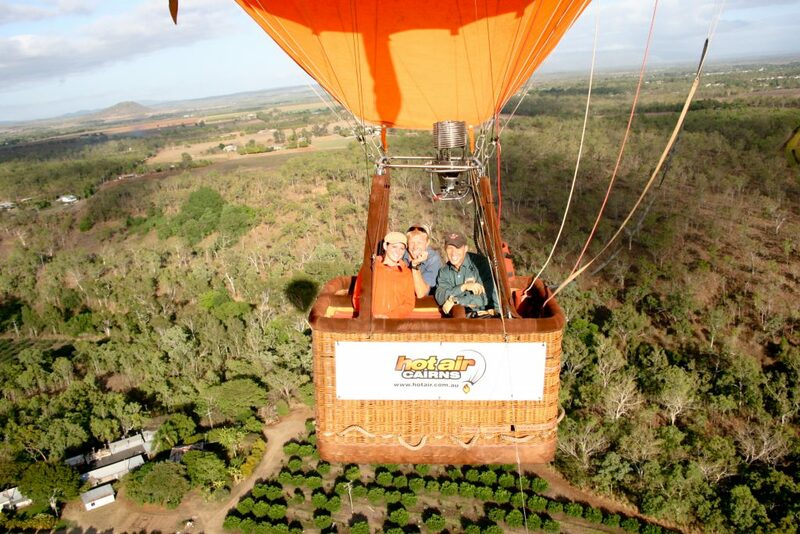 Begin the day by heading towards the tropical Atherton Tablelands. Comprising rainforest and wetlands, the Tablelands are home to various birds and native wildlife. Embrace your inner adventurer and drive the Waterfall Circuit, stopping at lookouts and waterfalls along the way. This 17km scenic drive loop will keep you busy for a while! A day’s exploration is best rewarded with a tasty meal and good night’s rest. Check out Pagoda Chinese Restaurant or Baba Curry if you’re in the mood for authentic Chinese or Indian cuisine. This is your final travel day; you’re heading to Cairns. Once you arrive, the rest of the day is yours. Check out the Cairns Regional Art Gallery, Centenary Lakes or take part in aqua aerobics at the Cairns Lagoon. Whatever you choose to do, make sure you have fun! If you’re staying in Cairns, we suggest getting up super early one morning to enjoy a hot air balloon ride over the city. You’ve completed our Brisbane to Cairns itinerary! You’re now free to explore Far North Queensland at your own pace. 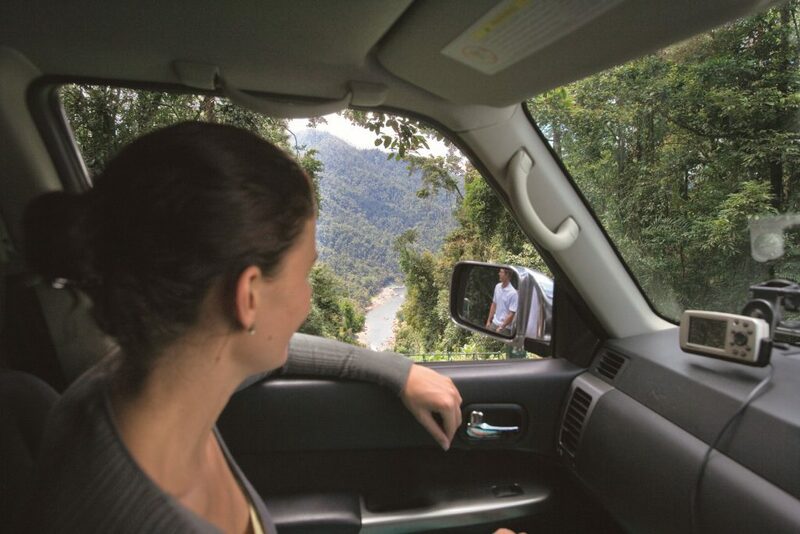 The beauty of a self-drive tour is you can personalise your trip, so feel free to add any detours that appeal to you.